A closer look at a country that could install almost 1.5 GW of solar by 2020. 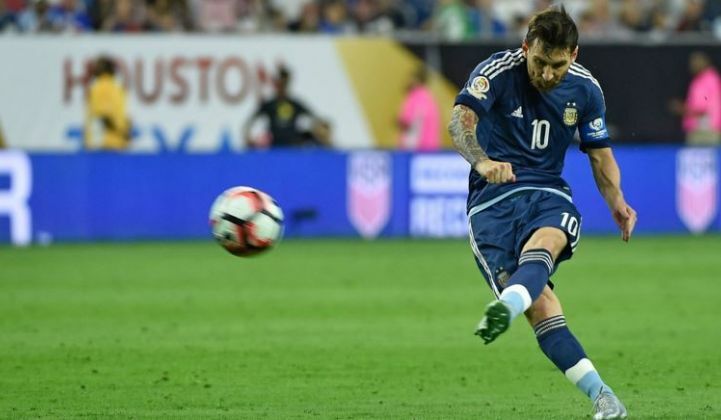 Argentina’s run to the Copa Centenario final (as well as the finals loss to Chile) is making headlines across the world. 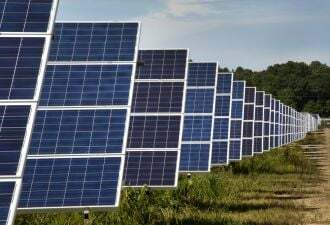 Flying under the radar, however, is solar energy’s improved outlook in the country with the inauguration of President Mauricio Macri last December. The new head of state replaced several years of the inward-facing Cristina Kirchner government, ushering in a new business-friendly environment that is helping to lure foreign investment to Argentina’s previously stagnant economy, with clean energy being a major beneficiary of this transition to power. Already in the first half of 2016 we have seen a flurry of activity on both the national and state level to incentivize and grow the development of renewables, with countries stepping up their commitments to lower carbon emissions as part of the final agreement with COP 21. Argentina established renewable energy targets for the end of 2017 and 2025, at 8 percent and 20 percent of total energy generation, respectively. Based on demand projections and economic growth, we can expect these targets to correspond to 3 gigawatts of renewables by the end of 2017 and close to 12 gigawatts of renewables by 2025. According to the Latin America PV Playbook, the biggest driver for solar in Argentina is its energy deficit. In the last 15 years there has been close to a 10 percent supply shortfall to account for growing demand. The result has been rolling blackouts during summer months, resulting in the importing of energy from neighboring Uruguay, Bolivia, Brazil and Chile. Solar as a piece of the current Argentina energy portfolio is negligible, with only 60 megawatts (DC) installed to date, producing close to 0.1 percent of the county’s total energy generation in 2015. That said, some of the best insolation regions in the world are within best Argentina’s northwest states of Jujuy, Salta, Catamarca, La Rioja, San Juan and Mendoza. These areas in some cases boast global horizontal irradiation (GHI) upward of 2600 kWh/m2, putting them on par with bordering Antofagasta and Atacama in Chile, two regions which combined boast 90 percent of Chile’s 1.5-gigawatt (DC) operational capacity. The sparsely populated regions of northwest Argentina would be optimal for large-scale utility growth, but the status of the weak transmission system that supports this added generation toward the population centers of the country remains unclear. 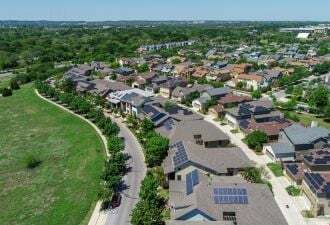 On the distributed generation side, state governments are taking the lead in terms of creating policies that benefit net metering. Most recently, Mendoza became the third province to implement net metering policies, following in the steps of Santa Fe and Salta. 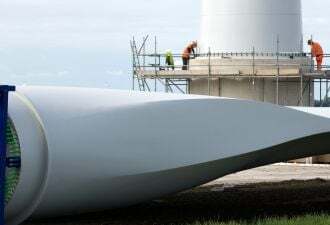 The implementation of the RenovAr program creates a way for Argentina to begin immediately building out renewables, especially solar and wind, using energy supply auctions as a vehicle. While the specifications for the July auction continue to be fleshed out, what we do know is that 1 gigawatt of total capacity will be allocated out, including 300 megawatts of solar. Initially, we can expect solar to start out more slowly compared to wind in terms of auction wins, as interest, access to domestic content, financing and transmission to areas of high insolation to high population continue to build out. It’s also important to note wind’s established foothold in the country with existing generation and transmission capability in southern Patagonia. We can expect, however, solar to continue taking on larger portions of subsequent auctions, contributing a larger portion of the 12-gigawatt target by 2025. 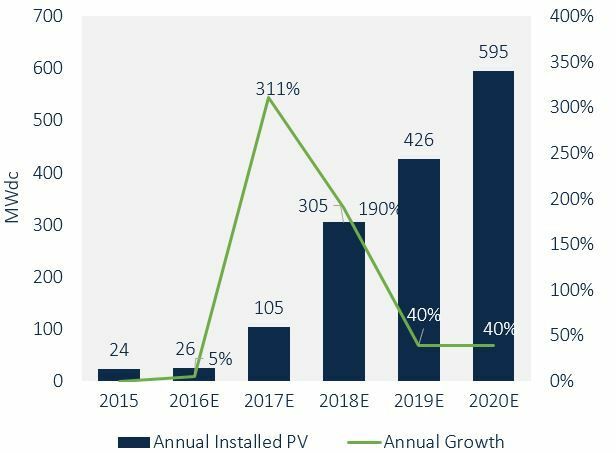 Because Argentina is still just beginning to build out solar from a policy, development and infrastructure standpoint, much if not all of the total capacity that we forecast out to 2020 in this quarter’s Latin America PV playbook is utility-scale. 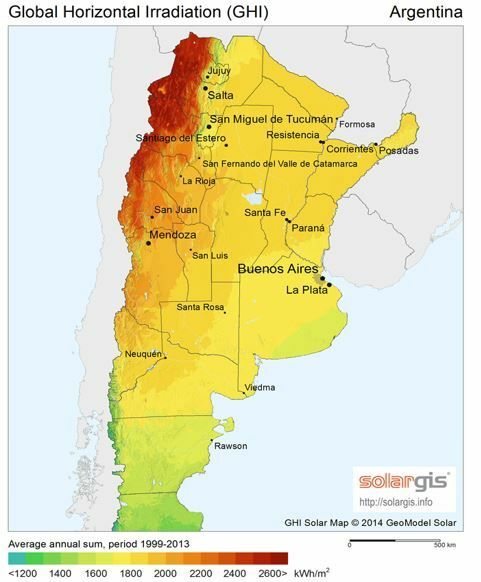 Several factors could cloud solar’s progress in Argentina. All of the winning auctioned projects will have CAMMESA, the administrator of the wholesale market, to act as the offtaker. Over the years, however, CAMMESA has been underfunded, and now currently sits in debt. PPAs in the upcoming auction could be issued at or higher than Brazil’s last auction average of $80 per megawatt-hour because of the risks involved in developing in an earlier stage market, in stark contrast to the lower PPA prices from Peru's and Mexico’s auction (sub $50 per megawatt-hour). Since CAMMESA is slowly starting to dig itself out of debt, expect developers to be wary of the entity’s penchant for slower paybacks due to financial instability. Economic recovery of the country might also hinder financing for these projects. Thus far, for solar projects being developed in Argentina, only international development banks are jumping at the opportunity to finance these PV plants. More private financing will be needed for large-scale solar to really take off, but again, the government must prove that these projects are bankable. Lastly, transmission continues to be an issue for newer projects. The Inter-American Development Bank helped fund a 760-mile transmission line in 2006, linking the northwestern and northeastern parts of the country, but more build-out will need to occur in the form of transmission tenders for the amount of desired generation to be added. More clarity is certainly needed as the market in Argentina evolves, but the future is far and away brighter than it was just a few short months ago. Still, in 2016, Argentina finds itself with economic roadblocks to the proliferation of the solar industry; an inflation rate of 30 percent and a remaining national debt of over $15 billion, which it intends to pay off through the issuance of bonds. Argentina sits in the enviable position of being in one of the hottest regions for solar, with recent developments in Chile, Mexico, Peru and Brazil to draw upon as a blueprint for growth. The question is whether these targets are too ambitious for a country that is attempting to grow the industry out of next to nothing. Its national football team once again came up short, but can Argentina’s energy sector finally deliver on its vast potential? Manan Parikh is a solar analyst with GTM Research and author of the Latin America PV Playbook.